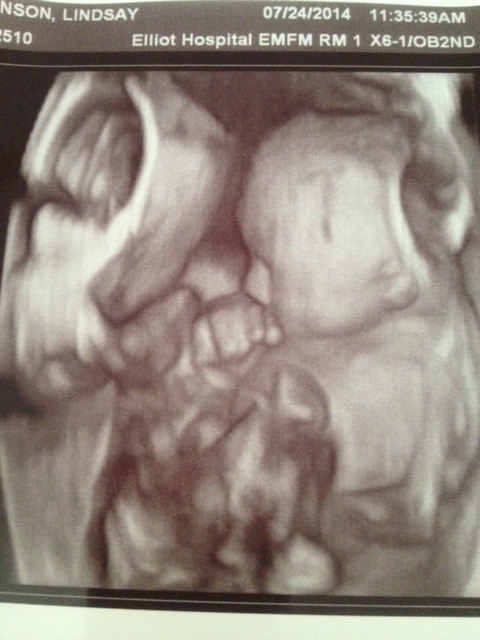 ← A Tale of Twins: There are two in there! 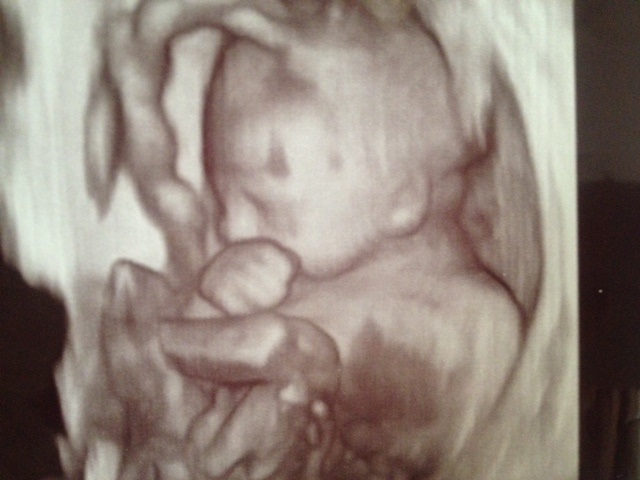 I had my second ultra sound at Maternal Fetal Medicine on Thursday and it went great! When the perinatologist came in with the two growth charts he said he could have printed out just one because they are identical. Talk about twinning, right? 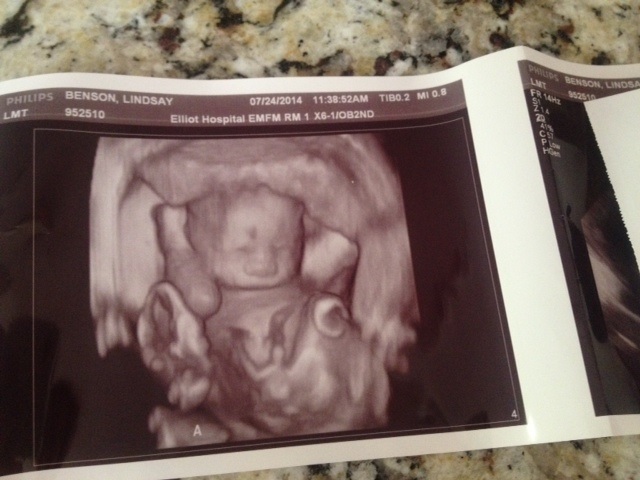 Both babies are measuring exactly 2 pounds, which puts them above the 60th percentile. I don’t want to be a numbers freak or anything, but Cole measured really small for a lot of my pregnancy so I was relieved to see that these babies are growing so well! 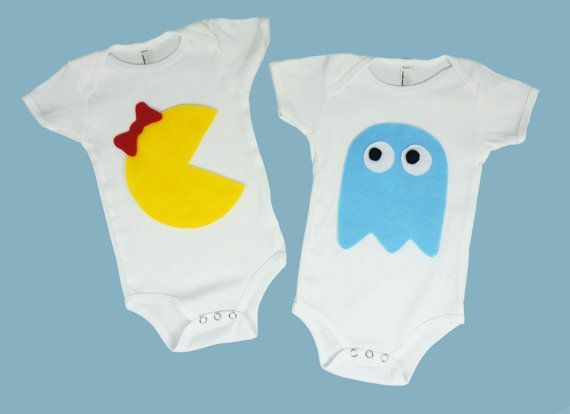 Whenever I eat I imagine a scene in my belly similar to Pac Man for some reason. Chomp, chomp, chomp. I’ve been making a conscious effort to eat tons of protein and calcium during the second half of my second trimester to fatten up these cherubs. Besides my usual fruit, veggie, and protein shake cravings I’ve added quite of bit of meat and dairy milk to my diet. I’ve read that weight gain is especially important during weeks 20 – 24 for a twin pregnancy. According to the American Pregnancy Association if a mother of twins gains 24 pounds by the 24th week she reduces her chances of preterm labor. I’m happy to report that I gained 23 pounds by week 24 so I was pretty close! This pregnancy has once again reminded me how absolutely incredible the female body is. Dr. Kauffman, my Perinatologist (who is fabulous by the way! ), explained to my husband and me that a certain demographic of women is more likely to get pregnant with multiples. A few of the characteristics he mentioned are: tall, overweight, and over 35. That describes me perfectly, right?? Growing these babies in my little body has been the most physically challenging experience in my life…and I still have quite a few weeks left! However, I’m so grateful for this miracle that has been given to my family. Here are a couple of 3D shots from our visit.